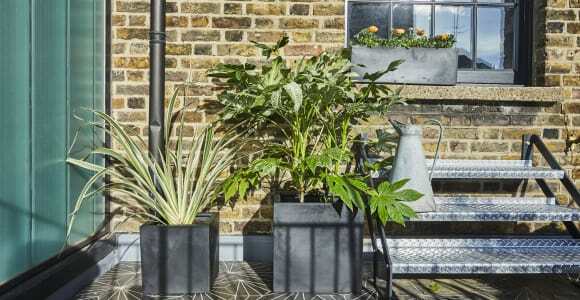 This collection of exciting shapes and bold colours will help you to bring a touch of the tropics to your London garden. 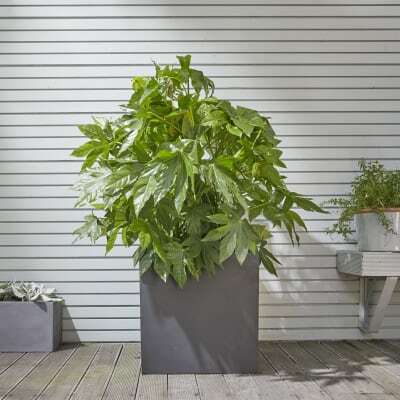 An evergreen shrub that can grow up to 2 metres tall, Fats the Fatsia Japnonica is happy in most soils and sites and will blossom beautiful dandelion-like clusters of white flowers in Autumn. 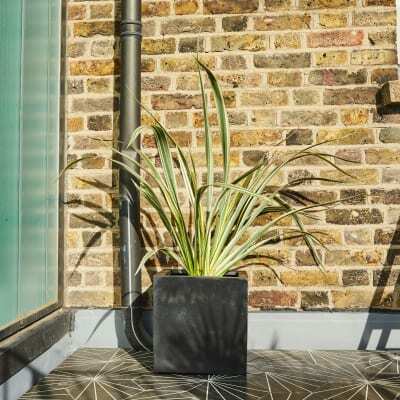 The Phormium Tenax, we call him Axel for short, is an evergreen perennial – looking great all year round, every year – that shoots up tall flowers during summer. 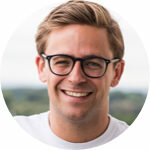 Over the course of a decade, he can grow up to 1.5m tall and wide, though in a pot his growth will be restricted. 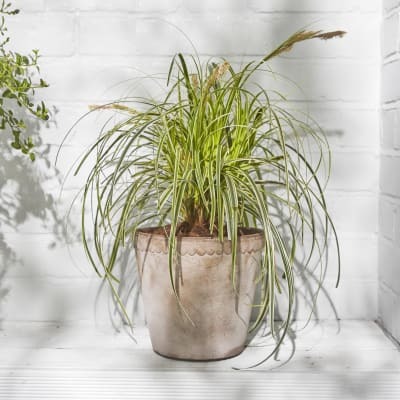 Originating from Japan, the Carex oshimensis evergold (or just Archie) comes from a long line of grasses that consist of as many as 2000 different species. His dark green and golden-yellow good looks will bring a sparkle to your space throughout the seasons and his tough upbringing mean he will survive in temperatures as low as -20°C. Contains one Fatsia Japonica, one Phormium and . Pots, drainage and compost included for all plants.